February has been a busy month for us so far in the Robinson household! I think doing the January Cure all last month motivated us to get even more items checked off our project list and then some. 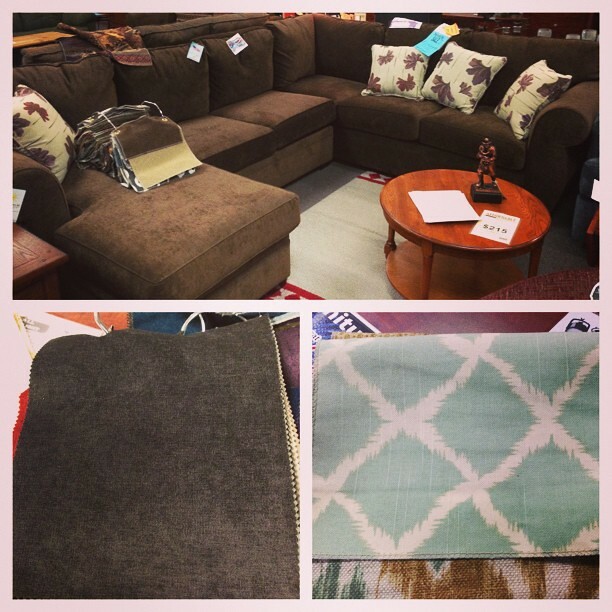 When we were on the hunt for a new cooktop a couple weekends ago, somehow we ended up looking at new sofas. We had considered replacing our current set-up for awhile, but we hadn’t given much thought as to what we wanted instead. As we looked at several furniture stores, we realized we wanted an L-shape sectional with a chaise in dark grey. After quite a bit of looking we eventually found exactly what we were looking for at Affordable Furniture & Blinds, a local furniture place that I didn’t consider checking out if it weren’t for my mom suggesting otherwise. We’re getting a mirrored version of what you see above; our chaise will be on the left. The bottom left is the dark grey the sectional will be, and the turquoise pattern is for the small pillows that come with, which I think will go nicely with my new grey and yellow pillows. The sectional is suppose to take 4-6 weeks, so hopefully we will have it by the end of March. As I mentioned earlier, we were initially looking at cooktops; one of my project items was to replace my gas cooktop with an electric one. Apparently there’s a big debate about gas vs. electric, but honestly I’ve always been a happy cooker with whatever just works works. Our gas cooktop takes 45 minutes to an hour to boil a 4 quart pot of water. That’s just unacceptable. Needless to say I haven’t had pasta in awhile. We had someone from the propane company come out to take a look at it, and Joshua even ordered the proper propane conversion part. 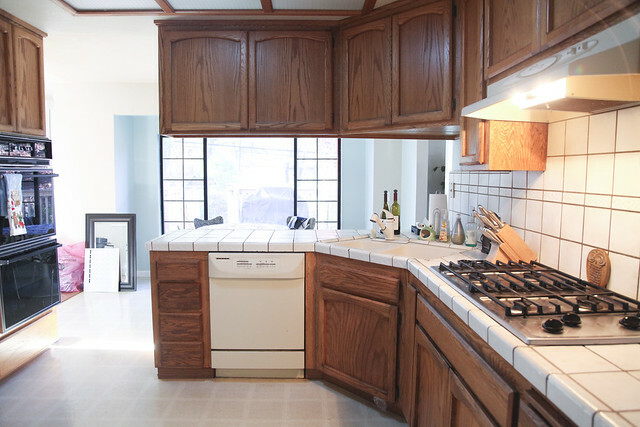 Despite their efforts, the gas cooktop was simply the wrong appliance for the set-up. We found a nice one by Frigidaire via Pacific Sales for a really great price, and they had interest free financing for 12 months. It’s suppose to be here in the next week or so! I’m looking forward to having pasta again. After all, I am Italian. ???? A few other projects we’ve tackled are getting my office, the guest bedroom, and the master bedroom are finally hard-wired for internet; the location of our heating ducts were causing so much interference that I got little to no internet in my office. Now I have clear signal all thanks to my hubby and brother in-law! Last month, my goal project was to organize my office closet. While I didn’t get it finished, I did make good progress on it. We’ve also managed to finish our garage! Reveal pics will be coming soon. Other than that, I’d say February is off to a productive start! And on that note, Happy Valentine’s Day!